He said the division had dully investigated all suspects who were arrested at various camps and found 348 to be innocent. “The cleared suspects are made up of 114 male, 107 female, 127 children and 115 under aged (5-10 years old, while 12 are 11years and above. “I am therefore here today to once again enforce the magnanimity of the Chief of Army Staff (COAS) by presenting the cleared suspects to His Excellency, Governor of Borno state, Hon. 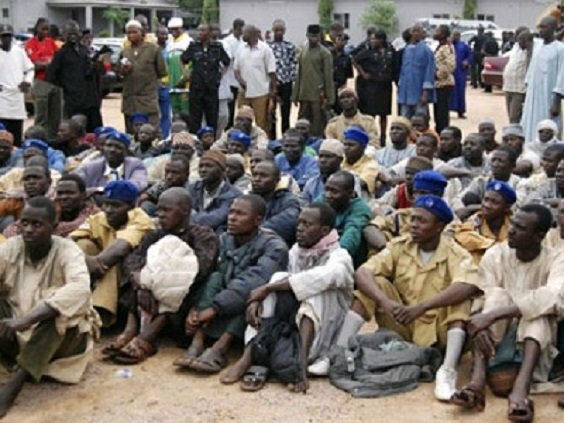 Kashim Shettima for rehabilitation and reintegration back into their respective LGAs”, he said.He said other suspects who were not released would be handed over to the Nigeria Police and Department of State Services for further action." Amongst them are 6 foreigners who illegally entered Nigeria. They consist of 4 Cameroonian, 1 Chadian and 1 Jamaican. These foreigners would be handed over to the Nigerian Immigration Service for deportation”, he added.